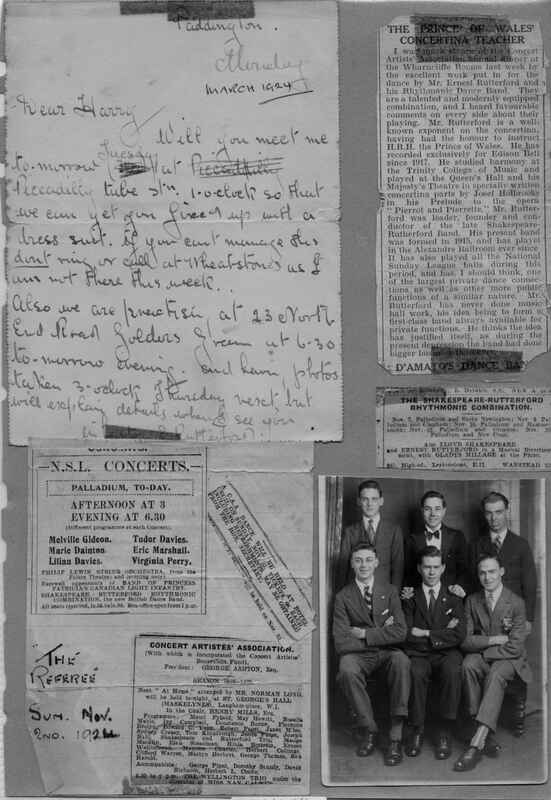 Full Description: A scrapbook page of various cuttings about the "Shakespeare-Rutterford Rhythmonic Combination", the "Shakespeare-Rutterford Trio", and a letter to Harry from Ernest Rutterford. 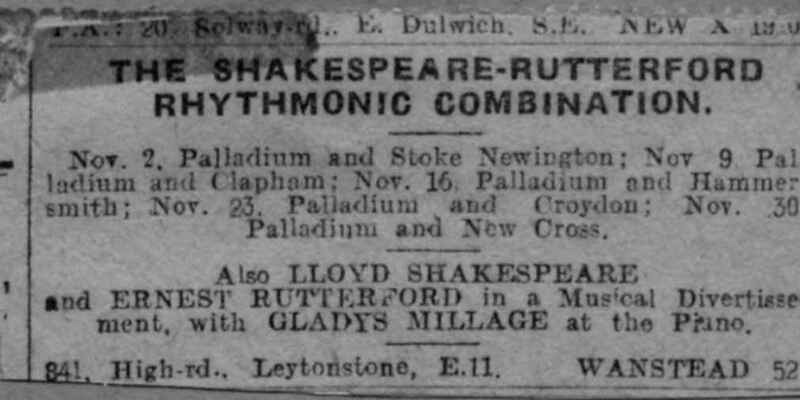 Other clippings and reviews are present, including one on Ernest Rutterford's concertina skills. 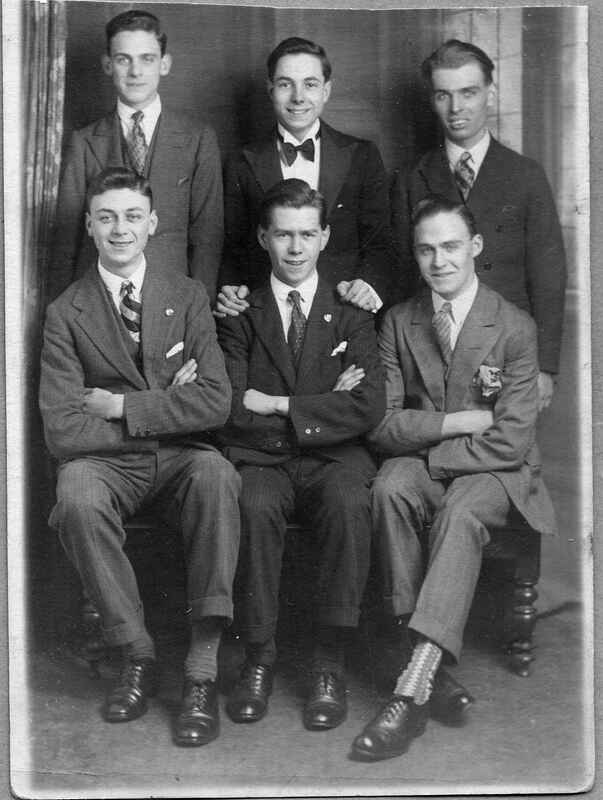 There is an informal photo of some of the musicians including Harry.